Nicole Agostino holds two degrees both in piano performance from the renowned Indiana University Jacobs School of Music. She earned her Bachelor of Music with high distinction in 2005 and her Master of Music with an emphasis in music theory in 2007, both under the tutelage of Dr. Karen Shaw. In 2015, Nicole completed her Doctorate of Music in piano performance from Florida State University, where she studied with Dr. Read Gainsford. During her studies at Florida State, Nicole also earned certificates in Music Theory Pedagogy and in College Teaching. An active soloist and chamber musician, Nicole has performed several recitals across the northeastern, midwestern, and southern states. She has toured as a guest artist giving recitals and lectures across the Southeast on Bach’s Goldberg Variations and has also recorded the work. Presently residing in Auburn, AL, Nicole is an adjunct faculty member at Auburn University where she teaches class piano and is a collaborative pianist. She also has served as faculty at Southern Union State Community College and at the Blue Lake Fine Arts Camp in Michigan. In addition to performing, Nicole keeps a busy schedule as a teacher and adjudicator. She has maintained a private piano studio for 20 years, she serves regularly as a judge for music competitions throughout the Southeast, and is an active member of the Auburn Opelika Music Teachers Association. In addition to her musical life, Nicole also enjoys teaching and practicing yoga, and is the owner of Yogafly Studio in Auburn. She has been practicing yoga since 2012 and completed her advanced teacher training certification with California-based yoga teacher Peach Friedman in November of 2016. 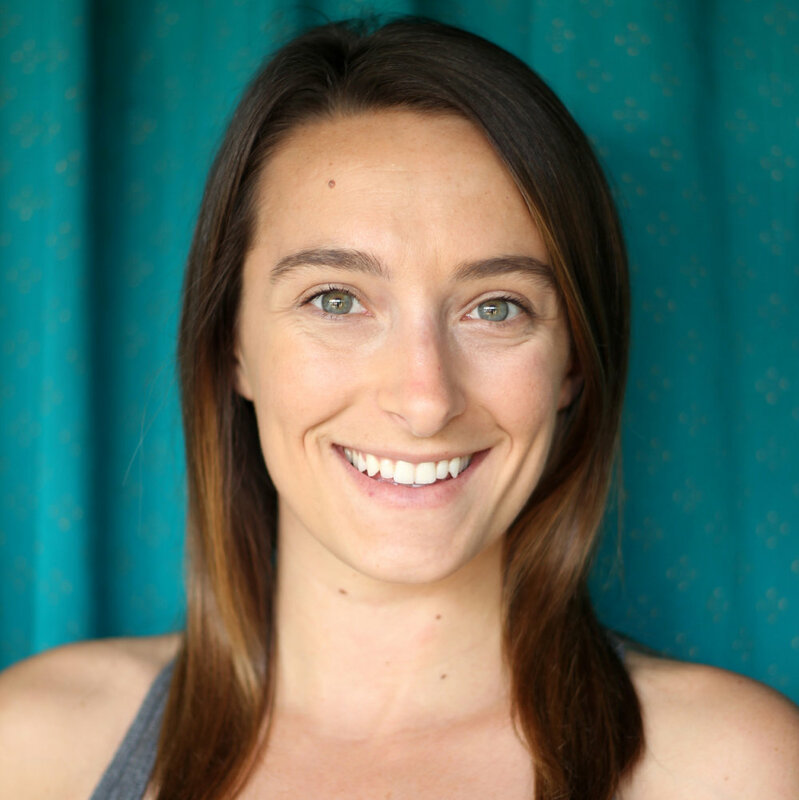 In addition to her regular studio teaching, Nicole also teaches yoga workshops for musicians, focusing on posture and breath for injury prevention, as well as visualization for performance preparation. The practice and discipline of yoga are complementary to that of music, and Nicole enjoys these parallels in teaching both yoga and piano. Anyone who seeks connection to their body. What can a student expect from your classes? Why would a student recommend your classes to a friend? I am someone who genuinely cares about others, and who is always giving smiles and good vibes, and I express that in my teaching. How are your classes different from the average yoga class? I address the needs of the body in my classes while keeping it light-hearted and fun. Since I was 17. I was inconsistent then, but after realizing how much better I feel when I practice, I’ve been practicing regularly since 2016. Why is yoga important to your life? Yoga helps me to stay grounded and makes me a better person. If I didn't have yoga, my life would be a mess! SELF LOVE ALL THE WAY! What is something interesting about you that isn’t related (directly) to yoga? I'm a very creative person. I love to draw, paint, make short films, and write songs with my ukulele! I like to make life colorful. I was born and grew up in Moscow and started my path as a teacher at 12, giving English lessons to a 9-year old (my first paying job). Music, garden, yoga, friends, books. Reading, teaching Renaissance English literature, geeking out on Shakespeare, knitting or embroidering, cuddling with my cats. The wings of the soul. My classes are for everyone, regardless of age, yoga experience, or ability. The practice will be grounded, peaceful, and welcoming to all. Poses are taught in a way to make them accessible to everyone. They are alignment-focused, using props and modifications to help everybody achieve safe, healthy alignment. I began practicing in 2006. To me, yoga is freedom from anxiety and back pain. I've experienced both of these over many years, and in yoga I find relief. I teach writing and literature classes, too, so my philosophy of teaching yoga is influenced by that. I teach student-centered classes, and I like receiving feedback from students so I may make adjustments to better meet student needs. Overall, students should feel safe, supported, and challenged. I am always learning, and I learn with and from my students. I cook delicious vegan food and grow fruits, vegetables, and herbs in my garden. I've nicknamed my prenatal classes "happy uterus classes" because they promote well-being throughout the entire reproductive journey. Classes prepare pregnant people for birth, promote recovery and self care for postpartum mothers, and can even provide a fertility boost and stress relief for those hoping to conceive. Birth workers will learn new skills to help their clients. Come leave your stress at the door. I design each class to provide deep stretching, hip opening, and pelvic floor strengthening. Sessions are appropriate for all skill levels. I've been growing my practice since 2005. Yoga is where I slow my mind. I find focusing on my breathing and connecting it to my movements the best way to ground myself so I can be present in the moment. I want students to leave feeling accomplished, refreshed, and with new skills they can revisit daily. I'm also a doula! Wanting to better serve my birth, postpartum, and fertility clients is what gave me the final push to become a yoga teacher. Tea, outdoors, deliciousness, family, and yoga. Hip-squeezing at a birth, snuggling a baby, or empowering an incarcerated mother through the Alabama Prison Birth Project. I love creepy crawlies & honey bees fascinate me. Katie’s comfort as a teacher is apparent from the moment you walk into her class. You’ll feel like you’re practicing under the guidance of your best friend as she casually (but powerfully & knowledgeably!) takes you step by step into a journey of physical & energetic awakening. Her eclectic & sometimes quirky playlists steep as the class builds, manifesting in a beautiful peak expression of the vinyasa experience that is uniquely Katie. Whether you walk in at the end of a long work day or just as your night is beginning, you’ll walk out with a new zest for taking your yoga practice off your mat and into your evening. Kundalini Classes are for everyone, especially those who like to try out-of-the-box practices!! Prenatal classes are for pregnant women, post-partum women of all skill level, women trying/hoping to get pregnant, birth workers, folks looking for specific pelvic floor exercises in a regular practice. All are welcome! In Kundalini Yoga, each class contains some pranayama, or breath work, a kriya, which is a set of exercises, and a meditation. Each prenatal class begins with the intention to build strength, flexibility, and fluidity in the body to aid in pregnancy, birth, and post-partum; develop breathing, relaxation, and pelvic floor exercises to assist in pregnancy, birth, and post-partum; take time once a week to drop into your body and connect with baby; and to nurture/foster a growing pregnancy and new mom community in Auburn. A student would recommend Kundalini Yoga to a friend who is interested in a class that focuses on breath and meditation just as much as movement. These classes speak to the multidimensional nature of our being, bringing the infinite to the finite. For prenatal workshops, they’re also yoga classes that offers more than just movement. It is a tuning fork for the pregnant experience. My experience in birth work informs my prenatal yoga class to understand why our movement is helpful and useful for what you’re going through as a pregnant woman. Kundalini Yoga is not a flow nor a physical based practice. It focuses on breath, mantra, and meditation along with movement. It’s referred to as a technology, as it uses the yogic science of our bodies to send new signals, creating new chemical releases, thereby changing our programmed ways into our infinite potential. In each class, I will discuss what each movement, mantra, and breath does in our bodies, as well as why we do it. Prenatal yoga focuses on the woman’s changing body as she goes through pregnancy and post-partum. We pay special attention to the changing needs of pregnant bodies and prepare the body for birth through pelvic floor exercises, hip openers, breathing techniques, strengthening poses, and more. Yoga is life. It is my intention and effort to lead a balanced life nourished in spirit, soul, mind, body, community, relations. I mirror that which I focus on in life in my yoga practice: balance, strength, breath, focus, surrender, opening, intention, love, discipline, quiet, laughter, forgiveness, etc. As above, so below. Yoga is the embodiment of spirit within my physical body, which is my continual intention. The union. “That's the pride of a teacher: that he has the privilege to serve another student, because somebody served him.” - Yogi Bhajan. I am a trained doula and child birth educator, and a mama myself, which makes me even more passionate about teaching prenatal yoga! I am also an astrologer and tend to drop astrological gems in the class, relating our classes to what may be going on celestially. Anyone! I hope that seasoned yogis will appreciate my well-structured and challenging sequences, while new yogis can expect both instruction and encouragement. No matter the experience level, all are welcome. There are always modifications to make the poses work for each body. While my classes can be challenging, they are also attainable. I work to thoughtfully sequence classes to prepare and address the entire body. I work to provide options for all ability levels to promote growth, while creating a non-judging and welcoming atmosphere. In the studio, I work to foster an inclusive and warm atmosphere aimed at building community as well as providing an enjoyable practice experience. I hope this keeps students returning to my classes and bringing friends with them. I work hard to teach each sequence with clarity. I structure each yoga class keeping my students in mind. I aim to focus on breath with movement while also making sure my students are practicing safely with correct alignment. I have been practicing yoga since January 2016 and graduated from Yogafly’s most recent 200 hour teacher training program this past February. Yoga has completely changed my life. I practice to connect with my body and my breath. It helps me to stay grounded and calm through the stresses of my life. I am so thankful for the family that I have found at Yogafly through beginning my practice here and through teacher training. As a student of yoga, I am always looking for ways to expand my knowledge of anatomy and the history and philosophy of yoga. As a teacher, I hope to use my knowledge to keep my students safe and help them to grow and build strength in their own practice. I hope to be welcoming and accessible while challenging each student who comes into my class. I hope that my students leave feeling healthy and refreshed physically, mentally, and spiritually. I love science, nature, plants and cats. I am currently working on my Ph.D in biology at Auburn University and I teach general biology classes at the university. My research focuses on a plant that can help eliminate pollution in areas of heavy metal contamination. In my spare time you can find me baking, hanging out with friends, or curled up with a glass of wine and a good book. I also own (or am owned by) two cats whom I love dearly. My classes are for anyone and everyone looking to enter into a symbiotic relationship with their body. For those curious about the abilities and possibilities of their own bodies. Students can expect an emphasis on alignment, and encouragement to listen to their own bodies in order to find the practice that is best suited for them on any given day. They come away knowing more about their own bodily experience, and more about each pose. To share in the environment of exploration and growth. I offer students to view themselves from a fresh perspective, encouraging a gentle curiosity about the bodies, but no pressure to perform a certain way. Casually for 6-7 years, but my heartfelt practice began around 2014. Yoga gives me the tools to be at peace with both my internal and external world. It offers me a chance to practice respect and patience, for myself and all that is around me. I find reprieve from the noise of life and a softening in my mind. I enjoy pushing the limits of my own body, and love learning new poses. My teaching philosophy reflects an intersection of the physical and mental aspects of yoga. I like to build from the ground up in a pose, offering thorough dissection of the big and small actions of a pose. I also like to teach from the inside out, encouraging students to tap into the sensations they experience both physically and emotionally, and to then use that information to make decisions both in their yoga practice and in their daily lives. What is something interesting about you that isn’t related directly to yoga? I lived in Prague, Czech Republic for a year, teaching English and frequenting as many cafes as possible. I still miss the beautiful views, parks complete with fruit trees, and plentiful beer. My classes are for anyone who is willing to examine and expand their practice. That means challenge yourself where you feel there's room to do so, and dial back when that is what your body, mind, and breath are signaling. Work and consistency. You can expect a solid foundation of sun salutations in the beginning of class to help get you right into your body, followed by some vigorous and fun flow, and some time to turn inward as we cool down. Expect music (class dependent) with heavy but soothing beats. I think students appreciate the chance to try something new, and I try to incorporate a new pose, or a new approach to a pose, in my classes. I believe my style lends itself to a balance between focusing on the many aspects of asana, while still taking a lighthearted approach to class. They are, after all, just poses! Put the work in, but be ready to let it go. I started practicing regularly after graduating from college in 2012. Although my practice has been consistent since then, there are long periods of time when I only practice once a week! I balance yoga with other forms of exercise (lifting heavy things!) and self-care (bubble baths!). Yoga is important because it is one of the only areas of my life that does not have a goal attached to it. It is a time where I practice for the sake of practice, not to achieve a particular pose. Although there are certain things that seem like a fun challenge to me (handstands! ), my yoga practice is about a nonattachment to the final result. If I stand on my hands, cool. If I don't, I'm still putting in the work, and that is what matters (to me). Honor a student's choices, above all else. Giving students the choice to say no to an assist, or no to trying a pose, or no to a vinyasa is absolutely part of the practice. If a student is observing their own practice, and makes a choice to not do something, that is their yoga. This is my first experience in the South. I started my life in Canada and have been slowly moving my way to warmer winters. My classes are for everyone! What can a student expect: My classes focus on alignment and finding a balance between effort and ease in poses. Why would a student recommend classes/how are they different? I aim for efficiency, consistency (through alignment), and natural transitions between poses/asana families. That, and savasana assists for those who desire them! I began practicing yoga regularly in Fall 2015. I initially came to yoga as a supplement to running. An unexpected benefit was that it helped me cope emotionally with loss that I had been grappling with from the previous year. As it turned out, it was the mental benefits of doing yoga that kept me coming back. Physically, it improved my overall strength and flexibility and also helped me recover from a running injury I suffered in early 2016. Now, yoga is my mainstay (no more running)! Yoga is important in my life because it helps me find focus and a little bit of peace in an otherwise busy (& sometimes chaotic) life. Between my work as a high school English teacher and my responsibilities as a wife and mother of three, it's sometimes difficult to find focus and clarity. My yoga practice requires me to slow down and focus on breath and alignment through asana. In turn, this helps me focus on breath and the important "little things" in my life as a wife, mother, and teacher. In sum, it improves clarity and calm and helps me keep a healthy perspective in all aspects of my life. Start with the basics, and build from there. I love cooking, and I'm really good at it. I find immeasurable joy in making good food for good people--usually my family and close friends. My kitchen is my "happy place." Oh, and I speak German.